Decorative Toran, Bandarwal and Door Hangings for Diwali 2017: Buy designer and auspicious Toran, Bandarwal, Door Hangings, Diwali Torans, Diwali Bandarwal, and decorative hangings online at Elite Handicrafts at very affordable and genuine rates. Check out our collection below to choose from. Enjoy Diwali Shopping with Us! Happy Diwali! If there is a description of Diwali then there should be a brief about Diwali decoration for sure. India observes a grand celebration of Diwali in each and every corner of it. Whatever region you reside, whatever language you speak the thing that will unite all on the auspicious occasion of Diwali is the message behind the celebration. Diwali is a festival of lights; it is the celebration of triumph of good over evil and with this message of positivity the festival of Diwali is marked everywhere in India. Diwali is a celebration hence decoration is an inevitable part of it. The decoration portion of Diwali celebration is so much prominent that people spend weeks of time in decorating their home and offices. Diwali is the observance of positivity. People do every bit of thing so that positive energy and vibrations may enter their homes. To welcome positivity at home, Hindus tie toran on the door of their homes. Toran or also known as bandarwal is a door hanging that is decorated well with flowers, holy images, figurines and bells. It is believed in India that a home where toran is hanging is always preserved from negative energies. Tying or hanging toran at home door is an ancient ritual mango leaf, marigold flowers and Pipal leaf were the main element of traditional toran. But to make the toran lasts long in homes now people prefer to opt for designer toran and bandarwal. There is a plethora of designer torans and bandarwals in the market such as ganesha in mango leaf toran, pearl beads toran, shubh labh toran, shubh Deepawali toran, bandarwal with bells, kalash toran and much more. One can easily approach to the vast array of designer torans online. Buy designer and auspicious toran and bandarwal from Elite Handicrafts. If you wish to send designer toran and bandarwal to your loved ones in anywhere in India then you can send it conveniently through us. We will deliver it within your time frame with free shipping anywhere in India. People use door hanging to decorate their house and for welcoming goddess Laxmi on the auspicious festival of Diwali. It is a belief that on this auspicious day goddess Laxmi roams on the earth therefore, for welcoming her they use sacred torans and door hangings. There are different varieties of torans and door hangings people use like spiritual, traditional, designer and fancy. It is a belief that spiritual and traditional door hangings will bring positive energy, peace and happiness at home. Diwali is the festival of wealth and prosperity and people decorate their house to bring wealth, fortune and prosperity at home. This is also can be used for gifting purpose. Another notion is that evil spirits also roams everywhere the night before Diwali therefore torans or door hangings hung outside to keep away those evil spirits. 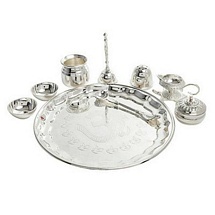 So, not only a decorative item but Diwali torans are pious and sacred item also that we must use it in our home. 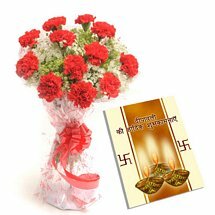 You can send Diwali torans to India online for your dear ones as Diwali gifts which will be an ideal and auspicious gift for them. Here, you will find infinite varieties of Diwali torans and bandarwal and all are available at best affordable rates. From traditional to designer, spiritual to fancy and much more are available with us. You can explore our site to pick the best Diwali torans for your home or relatives. No matter how beautiful and elegant torans or bandarwal you choose for your home but the spiritual and traditional bandarwal is always the best for gifting. 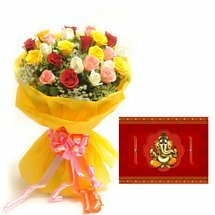 This will show your good intension that how much you care about them and will also be thankful to you for sending such an auspicious gift. The Diwali torans section in the site are filled with varieties of spiritual torans like Sankh and beads door hanging, Subh labh bandarwal, flowers door hangings, Mango leaf toran with Ganesha motif, golden elephant motif door hanging, and other designer and fancy torans also. So, pick the best one from the design catalogue available on the site and send as Diwali gifts to India for dear ones. Diwali the festival of lights and the festival remarks the victory of good over evil and people celebrates the day with great gusto and by sharing sweets and gifts with their loved ones to share happiness, love, care and convey best wishes. So, you should also share sweets and gifts with your loved ones. Even if you are far from them you can send best wishes for happy Diwali to your dear ones by sending online Diwali gifts to India. We have express gifts delivery services in all over India. 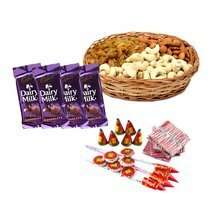 You can also avail our free shipping services in all over India for sending Diwali gifts to give a wonderful surprise to your near and dear ones on Diwali and make the day extra special for them. 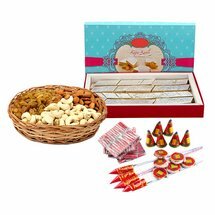 You can buy sweets hampers, chocolate hampers and dryfruits hampers for your relatives and friends and teem with auspicious and traditional Diwali torans to give a wonderful and mesmerizing surprise to your loved ones on Diwali. Let your dear ones know that how much they are special to you by sending diwali gifts even staying miles away and bring wide smile on their face to make the festival extra special for them.